This juice doesn’t require the use of a juicer, because watermelon is naturally so watery! In your blender, you’ll blitz up a watermelon with lime juice. If you think that’ll make more juice than you need, feel free to halve the recipe. Or double it for a party! 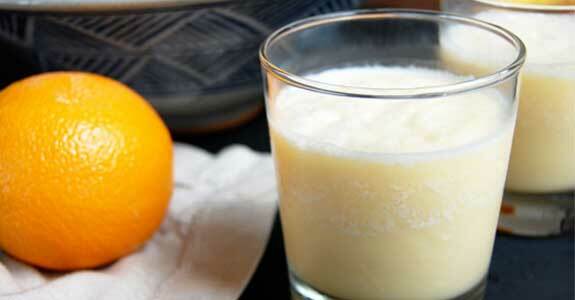 Cool, creamy, and frothy, this Orange Julius copycat is sure to please every time. There’s something about the way this juice gets blended up that makes it so tasty you’ll want to have it every day. Plus you know everything that goes into it, unlike what you get in the mall. Did you know that if you’re just starting out and don’t know what goes well together, you can keep your juice tasting (and looking) great by keeping like colors together? It’s like laundry! Well, actually it’s nothing like laundry. You’ll just have to read for yourself. 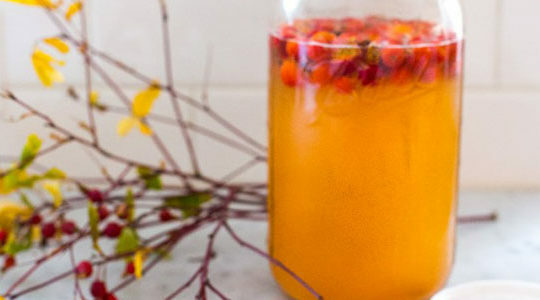 This lovely spring drink can be made without a juicer by using your blender and then straining. If you want to use your juicer, juice the first four ingredients and then add the rest of the ingredients to the finished juice. We don’t want to waste any maple or vanilla in the pulp! 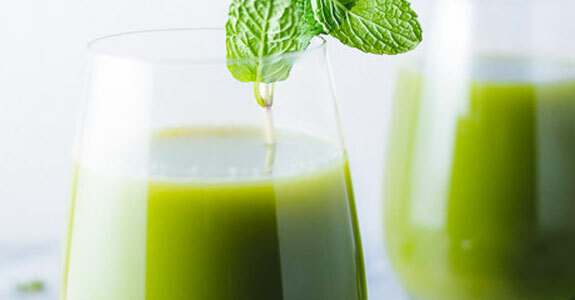 This juice is a lovely bright green color and is totally packed with nutritious ingredients like kale, romaine, cucumber, celery, bell pepper, ginger, and others. You can make it in your juicer, or you can follow the instructions on how to make it in a blender. This juice is a great replacement for sports drinks, and it’s such a lovely lime green color that I bet you could pass it off at the kids’ soccer practice as one and no one would even know the difference! 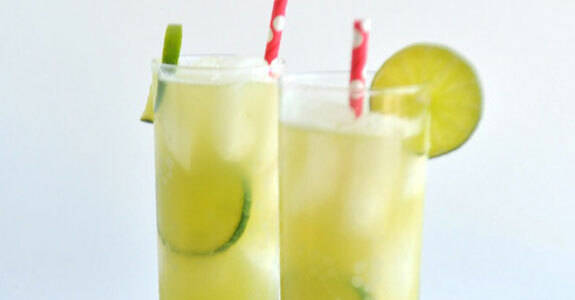 With coconut water, cucumber, and lime, it’s a great electrolyte replacer to keep everyone well hydrated. This happy, sunny juice is perfectly sweet with carrots and oranges, and it’s so easy to make because those are your only ingredients. If you’re feeling like you want an extra zing, or you feel a cold coming on, try adding a chunk of ginger root to the juicer. It’s lovely with orange and carrot. Don’t expect this drink to taste like lemonade! It isn’t so sweet, but it does have a natural sweetness from the carrots and is super-refreshing thanks to the celery. 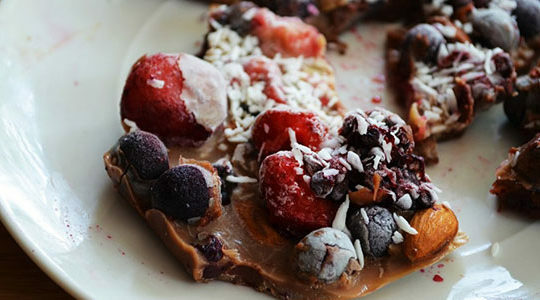 You only need three ingredients, and you can make this one in your Vitamix or your juicer. This is an easy low-oxalate morning drink made from cucumbers, Granny Smith apples, lemon, and raw honey. 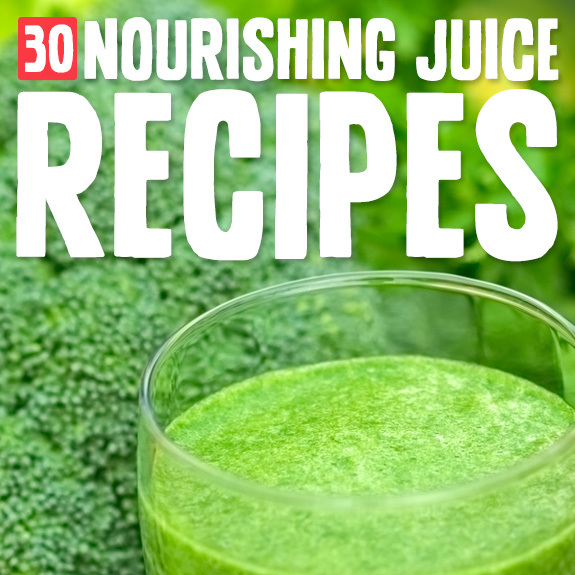 It’s soothing and tasty, while still providing a nutrients boost, even if you’re one who doesn’t like to juice bitter greens or needs to ease into them. Need more of a step-by-step intro to how to make juices if you don’t have a juicer? 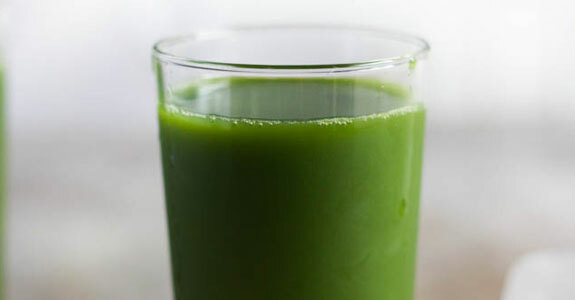 Try this blog post, which breaks it down for you and includes a lovely and nourishing green juice recipe with celery, kale, cucumber, green apples, and ginger. Want to build up your immune system or fight off that infection you can feel coming on? Give yourself some support with this thick, smoothie-like immunity juice featuring carrots, oranges, apple, lemon, ginger, parsley, and cinnamon. This is the most beautiful juice, with bright beets and carrots giving it that lovely color. Because the apples and carrots give this juice a sweeter flavor, and it’s a bright pink color, you might be able to convince the kids to have a few sips and get that beety goodness into them. This is for the kale lovers—or even the kale haters, because the other flavors in this juice really complement the kale. 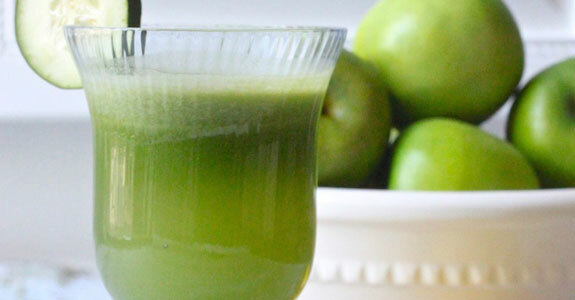 Garlic, apples, celery, ginger, cucumber, and lemon make a refreshing and nourishing green drink you can enjoy daily and feel the health benefits. Now this is a juice I really love! It’s sweet, but also has vegetables, and it has a spicy kick from the black pepper and chili mango. If you need a juice to get your body in full detox mode, this is a great way to start. Or at least to clear out your sinuses! 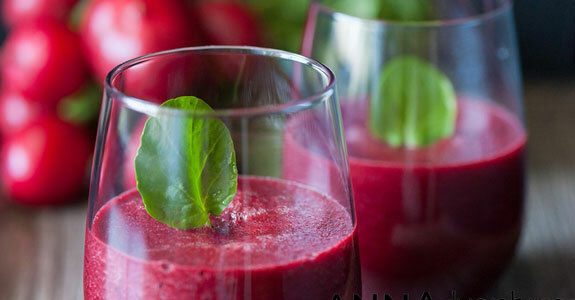 This awesome juice can be made in a blender and tastes absolutely amazing. Its main fruit is strawberry, so it’s sweet and beautifully red. Cilantro, ginger, and lemon are the perfect detox accompaniments for such a lovely, healthy drink! This juice is amazingly good. It’s not a green juice, and since it’s mostly fruit, you’ll want to go easy on how often you drink it. But it’s still packed with powerful vitamins and makes an excellent breakfast with its sweet and delicious flavors and red color. 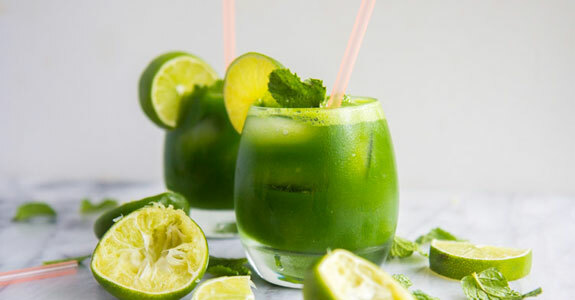 This mocktail involves a bright green juice made from mint leaves and kale made into a non-boozy, delicious sparkling drink with sparkling water, fresh lime juice, ice, and a touch of honey. I bet you could serve this one to kids, too. Hey, anything to get those greens into them! 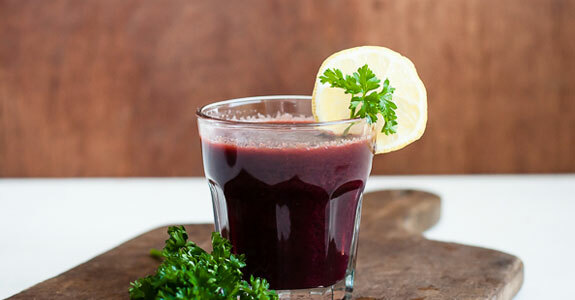 This juice is rich in nutrients and has an amazing dark green color with all of those vegetables. 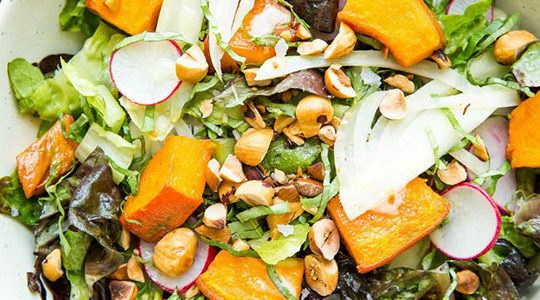 You’ve got carrots, green apples, kiwis, cucumber, spinach, kale, romaine, lemon, and ginger. If you find that it’s too strong for you, feel free to dilute with water. This yummy “lemonade” is made with celery, spinach, green apples, lemon, lime, and fresh pineapple or fresh grapefruit (depending on whether you’re craving a more sweet or more savory juice). It’s totally delicious and feels like a real nutrient tonic going down. If you love pomegranate juice but hate shelling out the big bucks for those expensive bottles at the store, try this technique for making pomegranate juice yourself at home. You’ll get about one cup of juice per pomegranate, assuming they’re of average size. Need a juice that’s energizing, nutrient-rich, and still tastes good? Give this one a sip! Cucumbers, fresh basil, mint leaves, grapefruit, a bit of cantaloupe, and a hint of coconut sugar make a juice with amazing flavor and fantastic powers to get you going for the day. You might be wondering why I’m sharing this, as it isn’t really considered a juice. 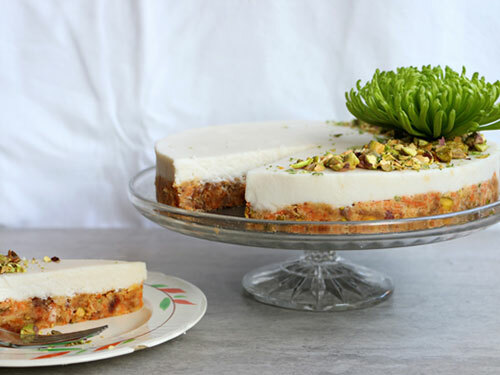 But hear me out: you can make this in your juicer! Really. 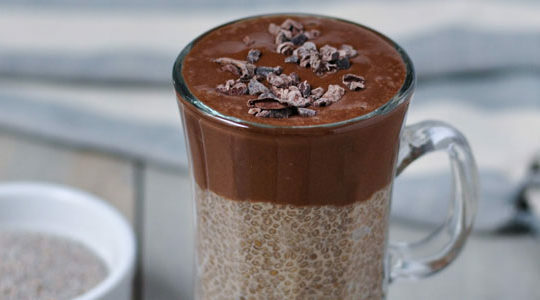 It’s sweetened with dates and flavored with vanilla bean, raw cacao, and cinnamon for an amazing and nutritious, easy treat. This juice is made in a blender instead of a juicer, so you get the fiber of your carrots along with the vitamins and flavors. 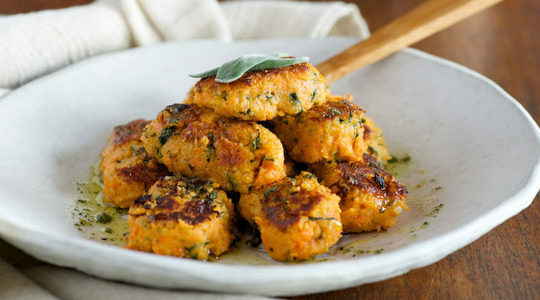 Apple adds additional sweetness, while ginger adds an immune-boosting zing that’s especially pleasant alongside carrots. This is a complex juice made with several different vegetables and fruits for a deep flavor that’s a little bit sweet, but mostly savory. This level of juicing takes some getting used to, so if you’re new to homemade juices, make this one a goal after you’ve tried some milder ones. While tasting sweet and tart as a good grapefruit should, this one also has a not-so-secret power: chlorella! 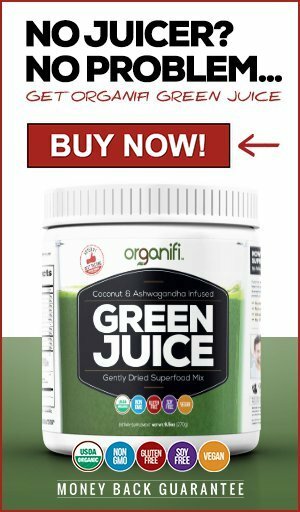 This green powder is full of nutrients, but if you have another favorite type of green superfood powder, feel free to use that instead of the chlorella. Thanks to ginger, this red juice has quite a kick to it—not a hot kick, but a bright and energizing one. Sweet potato, navel orange, apple, beet, carrots, and celery add other sweet or refreshing flavors to this drink, which you can enjoy as a simple way to help your body detox. This is a juice that really couldn’t be any simpler, since it’s just fresh apple juice! You could spice it up a little bit if you’d like, using cinnamon, ginger, or both. You could also heat it up for a warm cider-like drink! Kids love apple juice, too. This juice is also made in your blender, but it doesn’t require straining. Hooray! It’s a beautiful juice that’s a bit sweet from apples, orange, and baby carrots, but is super nutritious from the greens, radishes, and the beets. See if you can get your kids to drink it, since it’s so bright!